The Yonex Duora Z Strike badminton racket was first seen at the Super Series finals in 2016. 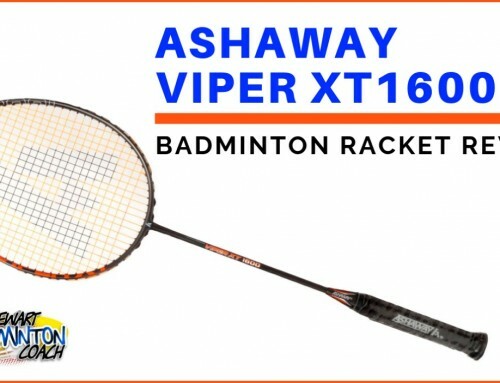 This was the racket of Denmark’s Viktor Axelsen who was recently crowned singles BWF Total World Champion 2017. The Duora series did not have the best of starts, primarily driven by players not liking the two-sided frame (one fast, one slow) some without even testing the racket. I think Duora deserved a more open-minded response and personally consider the range to be a success. As expected, Duora ZS arrived with the now familiar full length Duora cover. The copper, black white colour combination looks fantastic in a nice matt finish. This is a 3U version (85-89g) G4, larger grip, which is the standard grip size for Yonex rackets in Europe. Whilst I’d love to have the G5 option, I understand and appreciate the business challenges in delivering this. It’s a shame though, and I know Axelsen uses a G5 grip size with towel grip direct onto the wood (original grip removed). 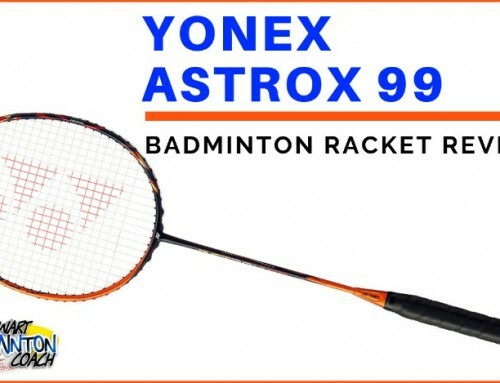 The racket arrived as frame only which allowed me the option for string and tension – a good move by Yonex. I selected BG80 at 26lbs. According to the decals, this is an even balanced racket with extra stiff frame. Duora Z Strike follows the Z Force 2 with a compact head – very familiar although a completely different feel. Immediately it had a good feeling to it although I would have said it was more slightly head heavy rather than even balance. Perhaps my tastes are changing. Having grown up with head heavy, stiff frames there is instantly a great feel with this racket. The grip is a bit chunky for me which spoils it a little but I’m used to this with most manufacturers offerings in the UK. Aside from that there is a weighty presence and a good solid hoop. 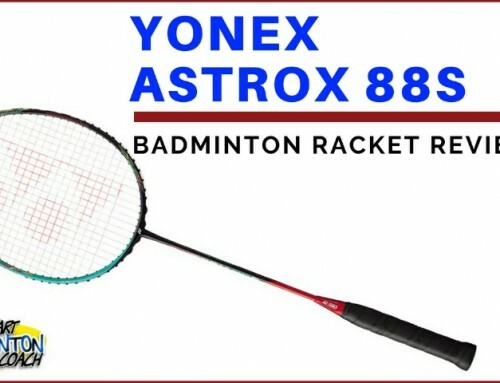 Surprisingly, there is more lateral movement with this frame rather than the usual Yonex ‘solid-as-a-rock’ specification. Ahhhh, that’s nice. Lovely clean hitting, a fabulous feel on impact with the knowledge that there is enough weight in the head to feel where it is moving. There was little to no difference which side I hit clears with, the shuttle just goes. There are no mishit issues with the compact head and, at the moment, no evidence of fatigue- a superb start. Drop shots were strong and clean. No matter which shot I played, I can always feel the head of this badminton racket. For me this is a positive because I like that kind of feedback. Yes, it’s a touch in your face but much better than the subtle approach that the super-light headed rackets employ. It didn’t bother me which side of the racket face I used, I still got good results. I noted though that this is one meaty head which carries well and is always felt. For some that could be too much, but I liked it. Onto the smash. I prefer a bit of weight in the head and Duora ZS delivered beautifully. It’s definitely slower through the air compared to other frames but most certainly packed a punch. Mark struggled a little to dial in his big smash and maybe it was a touch too stiff for him. Flat drives and pushes were surprisingly not as easy as expected, although possibly a touch of armchair exercise may solve that. Again, there is tremendous presence in the racket and I’m a bit perplexed why shuttles weren’t flying with the usual speed. There were no signs of fatigue. Defensively the Duora Z Strike is pretty good. It’s not a super-fast frame but a solid performer. Maybe this is why I don’t see so many doubles players using ZS, preferring D10. I thought it handled well, but it definitely wasn’t the fastest out of the blocks. That said, I loved the beef behind the shot and when you connect there is a good, satisfying feeling. Blocks were really solid. It’s the lifts and drives where the hands have to work hard – I was expecting more. Around the net Z strike was a bit more with it. The solid frame helped deliver great touch for net shots and kills. Again, I really liked it but Mark continued to struggle a little. Sometimes a player doesn’t gel with a racket and to me, this was just one of those occasions. I’m a big fan of this badminton racket. It suited me really well and I had a great time testing it over the three-five weeks. I wouldn’t want any more head weight and consider it is close to perfect for me, except for the grip size. Mark didn’t get on as well with it which just reminded me that we can’t all like the same racket despite the marketing etc. My only negative comment about this racket is that Yonex have used a grommet strip at the 12 o’clock position. Additionally, there are clear plastic U grommets at the throat. To date, nobody is selling spare grommets for this racket which really annoys me. As a stringer, I like to have spares for most rackets. 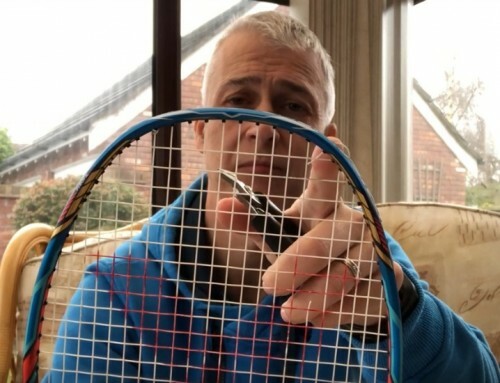 It’s disappointing that Yonex have released the racket without catering to the needs of stringers by ensuring replacement parts are available. 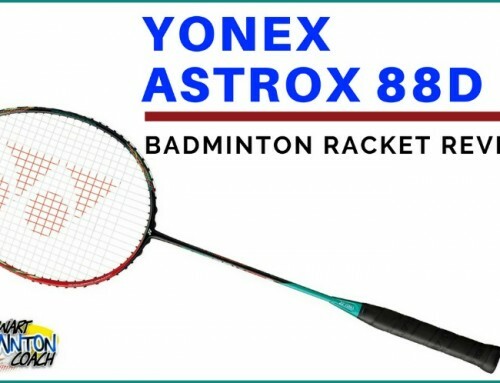 There are a number of professional players using Yonex Duora Z Strike including new World Champion Viktor Axelsen, Olympic Champion Carolina Marin and a host of other singles players. I’m surprised there are very few doubles players using this great racket. RRP is a weighty £200 and online retailers are selling for around £170 mark. It’s a lot of money for one racket and as always, players need to justify this in terms of what they get in return. I think Duora Z Strike is a superb racket and up there with the best of Yonex. For me, it’s as good as Voltric LD Force but I recognise it’s not as forgiving. Congratulations Yonex on giving us another great racket. Having thought carefully about my feelings about the racket, plus the issues Mark had, balanced with a hefty price etc, I am awarding Yonex Duora Z Strike a five star bronze. As you said the Yonex Duora Z Strike is an even balanced racquet, how is it compared side by side with the Li Ning N9 II? Which one would you prefer Paul? And can you help give me a list of Yonex even balanced racquet? The Arcsaber and Duora rackets are supposed to be even balanced although you may find a slight head heaviness in some. Li-Ning N9 is a very good racket and worth checking out. I understand both the Victor Jetspeed 10 and Yonex Duora Z Strike are very powerful, but which do you think is quicker? Jetsped 10 is a faster frame. I’m a hard hitter player. Between the Z Force II and Duora Z Strike, which one would you recommend to me? There should be no physical problem for me. I play double and single. Last racket i used was Z Force. String BG80/Bg66 Ultimax at 26lbs. Thank You. I am a bit confused about the swing weight of Duora Z-Strike and JS-10. JS-10 net weight is 90.9g and swing weight is 90.5g. As your description, Duora Z-strike is even-balanced (slightly head heavy) while JS-10 is even-balanced. Duora Z-Strike should have more swing weight than JS-10. However the result is the opposite. Can this be the cause for Mark’s issue? How can you measure swing weight? 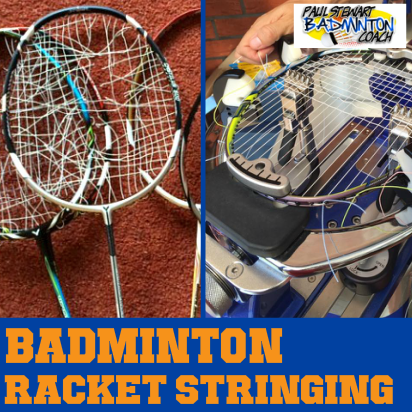 The weight of the racket differs because they are manufactured to certain tolerances. I could have two identically weighted rackets but one feels heavier than the other because of the distribution of weight within the frame. 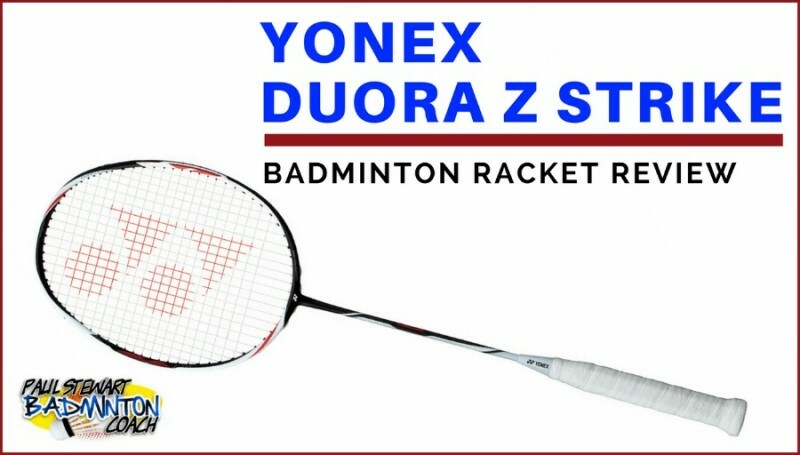 Yonex Duora Z strike is always good option for all round type of players. 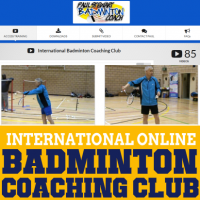 Viktor Axelsen is using it with lots of deception technique to fully utilised DZS capabilities. Some time extra stiff shaft difficult to control the shots. May be its because of my individual playing style. Otherwise , it is killer racket and player will get blend of ZF2 and Duora 10 in single racket. I really wanted to know if this racquet would suit me or not! It’s unfortunate I cannot try it as the city I live in doesnt have much of the players, who are fond of these premium racquets! But I own a Victor’s BS LHI, that i really love but it’s a 4U version so It feels lil light! I play singles most of the time! So can you suggest me if DZS would suit me or not? Or would you highly recommend me to try? But do give a rough estimation that it would or not! I cannot say whether a racket will suit you. Only you will know this when you play with it. Nobody can accurately tell which racket suits which player. 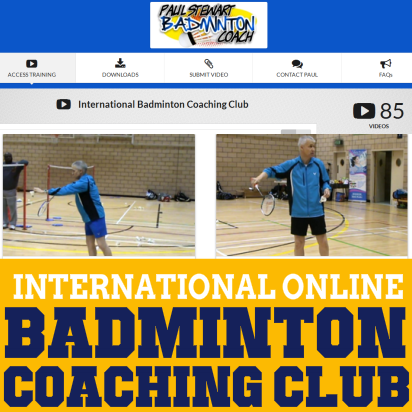 We can only test and understand what happens in different situations on court as a result of hitting with a different racket. It’s me again. Thank you for replying last time. I have a question. I am a control focused type of player, because of that my attacking skills aren’t very good. 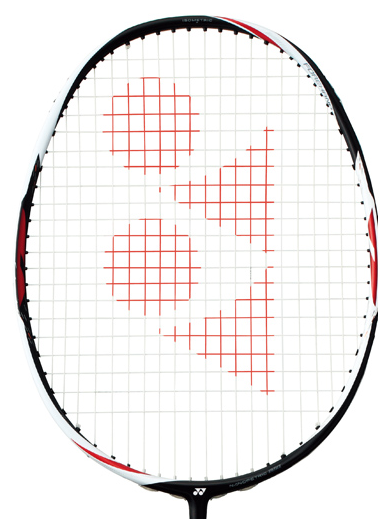 So, I’ve been wondering should I buy a control racket so my control gets more and more better, or should I get a attacking racket to improve my weak attacks? Please reply, thanks. 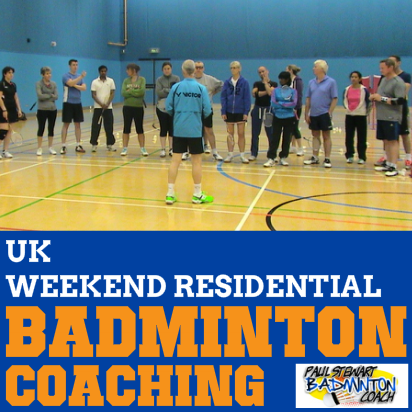 Get coaching to help with your weaker areas and also to strengthen your good points too. I believe a racket reflects the player and therefore a powerful racket can demonstrate amazing control in the hands of a player with amazing control. You said youre a control type of player. So Im curious, what kind of racket have you used or owned that you liked in terms of how your control shots came out? I might be able to help you narrow down your search since I have owned over 40 high end rackets for basically friends to try before buying. Im a power player who also prefers control. For singles, the racket I found hardest to control is anything that is too aerodynamic like Victor Jetspeed S10. So far, Im liking the result of the Z Strike. Its got a solid feel that I believe singles players will love. I play both and like it for both. The one I use is a 2U G5 but I have borrowed a friend’s 3U G5 to compare for 2 weeks since he went out of town and its much easier to play fast net shots plus drives with the 3U. Not many will like 2U, even for singles but I wouldnt have it any other way personally. I regularly do armchair exercises recommended by coach Paul (currently with a lead taped tennis racket with a grocery bag covering the string bed). May i know how this racquet differ from JS 12? My previous go-to racquet was Lining N9ii, before it was broken due to cash. Hence i woud like to look for a replacement for my N9ii. I will be more than happy if you can give some advices on deciding which one to go with by sharing with me the differences between JS12 and the Zstrike. Thanks in advance Paul. I cannot advise whether a racket will suit you. JS12 is a standard size head, medium flex whereas Z Strike is very stiff with a compact head. I cannot compare head weight as I do not have the rackets. Both are very good rackets. There are too many players selecting very stiff rackets which do not suit them. However, you may be one of those who can handle the stiffer frame. N90II was a head heavy stiff racket so you should be able to cope with either racket. There is a new N90 IV in the market now. I’ve no idea what it is like so you have to be the judge. Good luck. I’m a singles player. And I’m looking for a racket that is roughly even balanced to improve my speed, cntrol and deceptions. I found Arcsaber 11 and Duora Z strike. I’m currently using an even balanced racket. I’m thinking about Arcsaber 11 because of its solidness and it’s SONIC METAL but I’m a little scared of its durability which it’s maximum tension that is only 24lbs while I string my racket at 29lbs BG80. So, should I get Duora Z Strike or Arcsaber 11? You must choose as I cannot select for you. Arcsaber 11 will take a higher tension but you invalidate the warranty. Forget about the materials used and focus on whether you will have the feel of the racket. Both Arc 11 and Z Strike are very good rackets. I consider Arc 11 more of a doubles racket. There are very few professional players using Arc 11 in singles, but many use in doubles. Likewise, I cannot recall a professional doubles player using Z Strike.